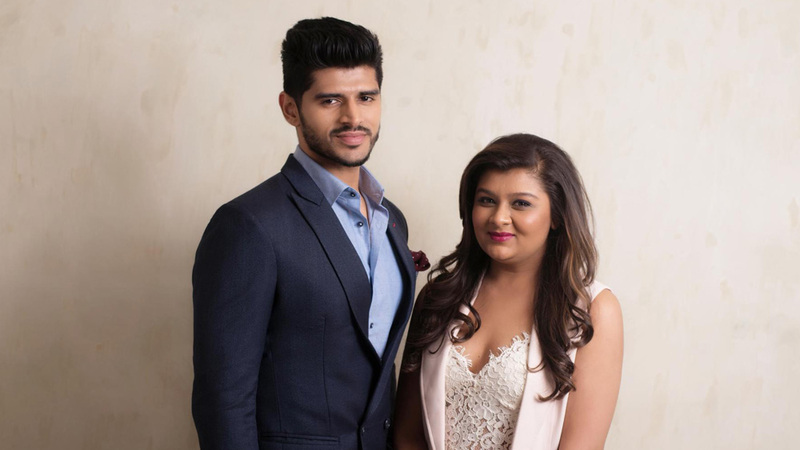 Dolled & Dapper, the premium kids and adult salon and spa service provider, founded by Rashi Morbia Kumar and Prateek Kumar, is on an expansion spree. The company is aiming to have around 10 salons across metros to Tier II towns through franchising. It is also planning to launch a Dolled & Dapper academy in the near future. Q What kind of gap is Dolled & Dapper trying to fill in the market? With this we are not trying to fill, but create a gap. We are in a space where we offer head to toe grooming and nurturing services for kids including manicure, pedicure, haircut, foot massage for kids and adults and do birthday and kitty parties. We participate in exhibitions and create a lot of awareness for the brand. We also conduct workshops for personality development and external and internal grooming for kids. Q What are your future expansion plans? Right now we have one flagship store in Bandra, Mumbai and our aim is to have at least 10 salons in the next 24 months through franchising. We are looking at setting up salons in metros like Delhi and Jaipur but also focusing on tier I and II cities. We intend to spend on smaller and portable spaces across cities. The price point might differ but the services will remain the same. We are in discussion with investors for funding. Q What will be the investment per store? The investment that we are doing for our franchise model is approximately Rs 55- Rs 60 lakh per store. Q Will services offered be in the premium or mid-premium range? It is the affordable premium category. As our service standards are high a hair cut for a child boy or a girl starts from Rs 800- Rs 1000. The service range starts from Rs 350 and goes up to Rs 6000 which is a complete head to toe grooming service. The most selling package that we have is Rs 2500. Compared to styling or adult haircuts we focus more on the grooming and nurturing part. So we have three to four months extensive training programme for our staff members. Q What is your target age group? We cater to 3 year old to 18 year boys and girls but we also do new born and toddler haircuts, and also mundans. We are not just a kid’s salon, but we have mothers who come with kids and while the kid is getting service and their mother wants a trim, we do that. Mothers can leave their kids with us for three hours package and can come back to pick up the kid. In adults we cater to up till 60 years old. Q What about your online presence? We are launching our own website by the end of this month where we will showcase all our products, services and gift vouchers among others. We also have partnered with a couple of ecommerce players like Nykaa as the more presence you have online, the better it is. Q What are the challenges faced by you? We import the products from abroad when we don’t find the substantial products in the country. Import is difficult especially in cosmetics as import duties are huge, the chemicals present in the cosmetics are under the list of scrutiny. In the ideal scenario, it takes 8 months for us to get one nail polish. Q What is your vision for Dolled & Dapper? We want to go beyond the kid’s salon and spa space and want to start giving back to the kids that are not privileged. Twice in a month we get kids which are not privileged and groom them for free here. Further we want to start our own line of soft toys, apparel or some sort of merchandise to give back to the underprivileged kids. Education is must and it is not happening in the right direction, kids are not getting the right platform to learn and we can do it through Dolled & Dapper. Hence, we will launch our academy soon. Q What are the untouched opportunities existing in the kid’s spa and salon space? Kid’s spa itself is a huge $1 bn industry. There is no such area that is untouched. Apparel is touched a lot but that is something the grooming and wellness is not catered to. There are few Indian brands coming in but so far no Indian brand is competing with International brands and I don’t think the domestic brands take kids that seriously. Two to three years down the line the market will grow huge. Aiming 15 stores and a gym in 5 years: Flabthugs..